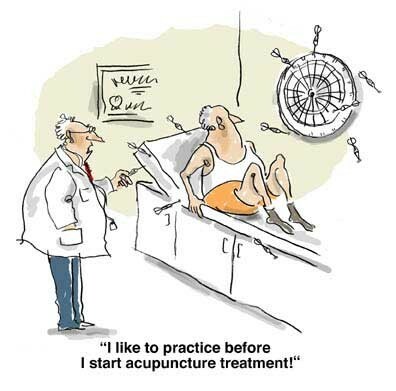 Practiced in for thousands of years, acupuncture is one of the key components of traditional Chinese medicine (TCM). In TCM, the body is seen in a delicate balance of two opposing and inseparable forces: yin and yang. Yin represents cold, slow, or passive aspects of the person, while yang represents hot, excited, or active aspects. A major theory is that health is achieved through balancing yin and yang and disease is caused by an imbalance leading to a blockage in the flow of qi (vital energy). In traditional Chinese medicine, the vital energy or life force proposed to regulate a person’s spiritual, emotional, mental, and physical health and to be influenced by the opposing forces of yin and yang. Qi can be unblocked, according to TCM, by using acupuncture at certain points on the body that connect with these meridians. Sources vary on the number of meridians, with numbers ranging from 14 to 20. One commonly cited source describes meridians as 14 main channels “connecting the body in a weblike interconnecting matrix” of at least 2,000 acupuncture points.